Already spotted in the wild by some of you, but now it’s official: the PlaySoniq is on sale! The price of this multi-expander is set to 150 euros. The default connector cable from the PlaySoniq to Euro-SCART is 15 euro. A customized cable for J-SCART, CVBS or extra audio outputs can be made for you (please allow for some extra delivery days), prices are around 25 euro. Worldwide shipping not included. Please ask for details. The first software package is ready and we have been busy with the instruction manual. Detailed information for users and programmers included. Check the PlaySoniq User Manual v1.3 on our documents page for all its amazing features. Our product packaging (the outside box to shelve) will be produced by Sunrise by the end of this year and all buyers can apply for a free one (shipping excluded) when they’re ready. 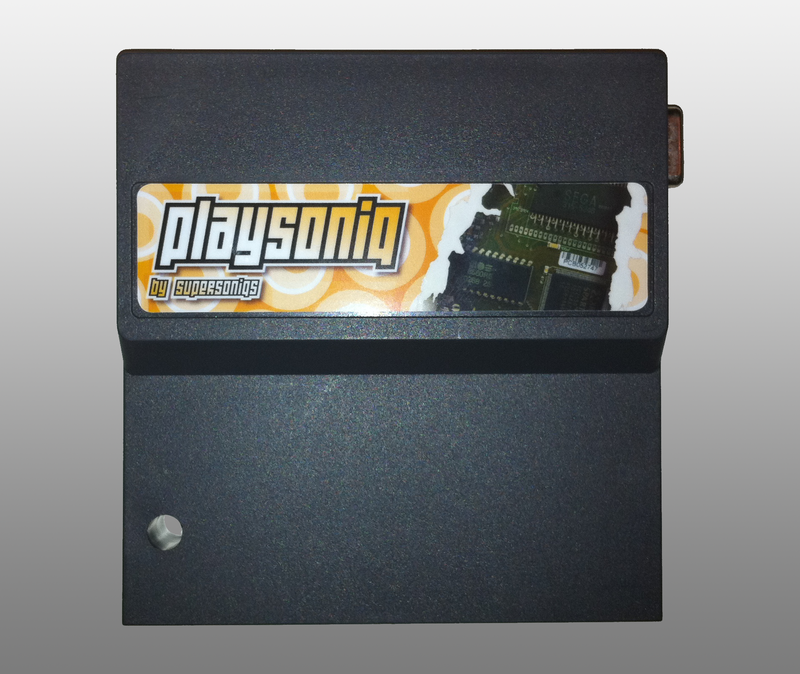 Please note that all PlaySoniq expanders will be send with a cartridge enclose (as seen on the above photo). We will start to process your orders at Monday the 6th of September. As all expanders have to endure testing, not all orders can be send out immediately. Send your pre-orders to info@supersoniqs.com. We will contact you when we are ready to process your order. Until then!